Our curved round bar seat features a lovely single leg design making mowing underneath accessible and easy. 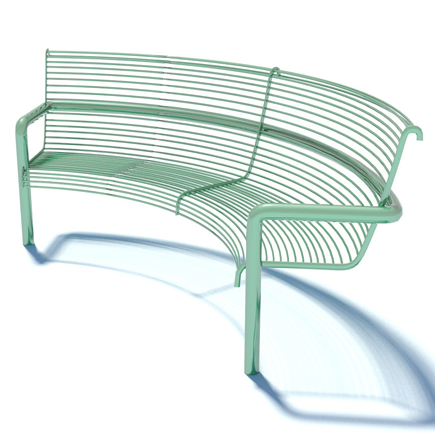 The inward curve of the seat makes seating cosy and private. The curved round bar seat is made from British steel where it is hot-dipped galvanised to prevent rust. The seat is then powder-coat to prolong the longevity of the paintwork. The seat is available in any RAL colour.